Noted Writers Festival kicks off this week, and in amongst the almost dizzying array of literary events is one that has the potential to really encourage and inspire many Canberra women. 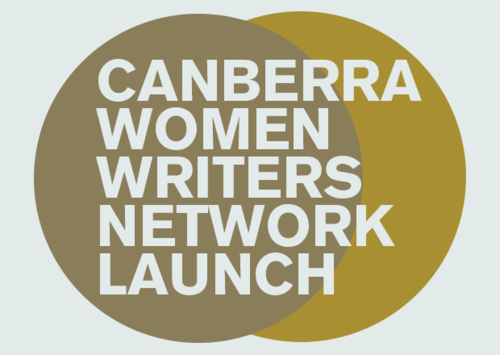 The Canberra Women Writers Network (CWWN) is being launched at Gorman House on Thursday 4 May to promote women writers. Or should I say, being ‘pitched’ – that is because the launch is an event aimed at encouraging response about the potential direction of the group. Twenty ideas for promoting local women artists and writers will be presented at the launch for people to vote on. Why a specific women writers network in Canberra, you might ask? Because books and publishing is still a male dominated industry. Research in recent years has shown that there are comparatively more book reviews written by men profiling male authors, and more literary prizes (including the Miles Franklin award that is named after a female author) won by male authors. Work by Vida, a US organistion dedicated to women in literary arts, shows that on average many more books are published by men than women. The situation is no better in Australia, and in response an alternative literary award – the Stella Prize – has been established through crowd funding to specifically to recognise and reward outstanding women authors. In addition, women writers are often not just writing traditional books, but also combining art forms and genres such as poetry, plays, romance, women’s fiction, short stories, non-fiction. How best then to work together as women to support each other and to promote each other’s works? Membership of the CWWN is open to women writers of all backgrounds and genres (fiction/non-fiction, literary and genre fiction), and to writers whose works are published or unpublished. As part of its establishment, CWWN welcomes views from the community and has prepared a short survey, which is possibly the shortest and easiest survey I have ever completed. CWWN is founded by four Canberra writers and artists: Dr Bec Fleming (oral historian, speechwriter and researcher); Stella Frances (producer, director and actor), Rhyll Biest (non-fiction and romance writer), and Rose Chen (lawyer, Tiger Mom in training and Australian-Asian chick lit author).